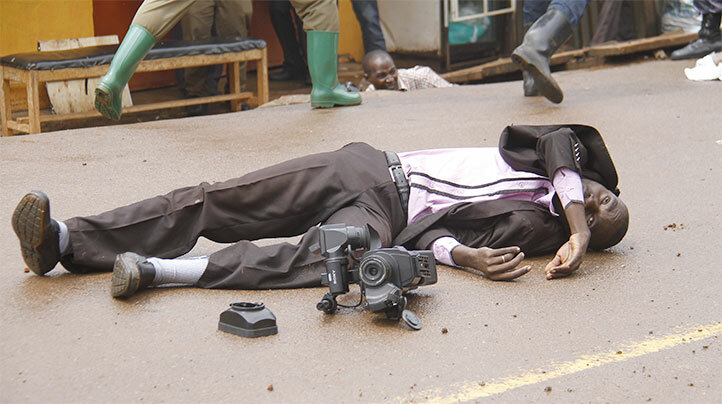 A journalist working with the independent broadcaster Delta TV, Isaac Kugonza, was on Monday shot by police in the head and rushed to Mulago National hospital in a critical condition, blood oozing from his head. Another unidentified woman was also reportedly shot in the scuffle of the police arresting the capital city Kampala’s Lord Mayor, Erias Lukwago. Delta TV News Editor, Prossy Margaret Kisitu spoke to press regarding Isaac Kugonza: “A scan shows that his skull has cracked. He is in severe pain. He can’t open his mouth, he can’t talk. He lay unconscious for the rest of the day since he was hit” Kisitu told journalists in an interview as she took care of Isaac at the hospital. The scan was reportedly paid for by the police. His video camera was also damaged in the process. Police fired teargas, rubber and live bullets to disperse Lukwago’s supporters who were opposed to a move by police to block him from walking to the Electoral Commission headquarters in Kampala to return his Mayoral nominations papers, despite an earlier move by the Commission to adjourn the nomination process. Lukwago, who is a prominent member of the opposition was arrested from his home at Wakaligga in Kampala and detained at Naggalama police, outside of the capital. Isaac is the third journalist to be shot while covering political events in less than two months. 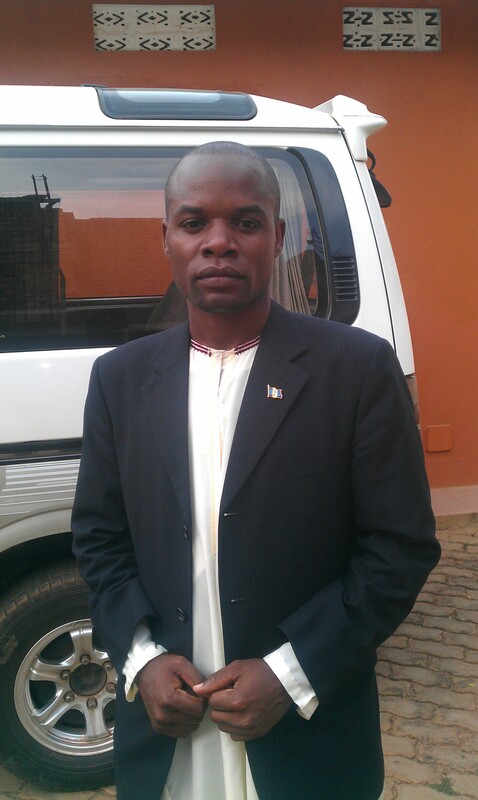 Others are Matovu Enock of NTV who was shot on 29th October at Mityana and Ivan Vincent Mukisa on 15th of the same month in Jinja. Several other journalists have been assaulted in the line of duty in the same period of time by police, politicians, and mobs. No investigations have been conducted into these violations. Next post UN to send peacekeepers to Burundi to contain violence?